FREE crochet Pattern for Baby Crochet Hat and; Cute Baby Booties, Mary Jane Shoe Pattern. Gorgeous crochet baby bootie shoe pattern with matching hat. 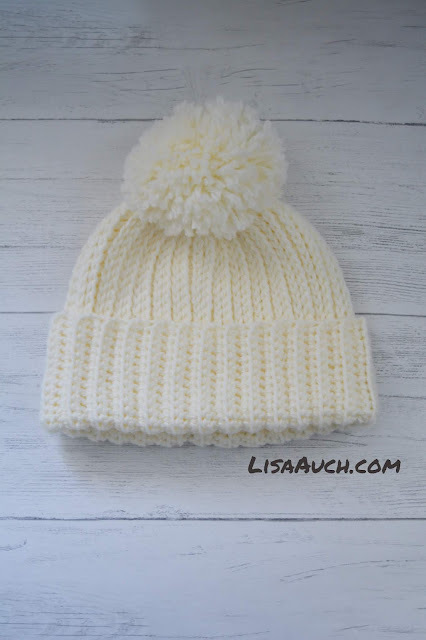 When I first started crocheting I wanted to make a pretty set to give as a present to a new born baby, so not only was I looking for an Easy Crochet baby hat pattern suitable for a beginner, but also an easy crochet pattern to make cute baby shoes for a little girl. Well after a little searching, for an easy crochet booties pattern and not a lot of success I set down with my crochet hook and some yarn, and went to work, and worked out an easy pattern for baby booties shoes. Crochet Pattern for Baby Bootie Crochet Pattern Cute Mary Jayne Shoes. To make the baby booties shoes just require the basic stitches of : chain stitch (cs), hdc (half double chain) dec (pull up the loop of the next 2 stitches, pull the yarn over then through both of the loops on the hook), and single crochet (SC). hdc 2tog twice, 1 hdc, hdc 2tog twice, sc around, slip st into first st.
Sc into 4th chain from hook sc back to where you joined yarn, slip st into side of shoe, and finish off. Sc foundation st 14 ( if you don't know how to do this, the easiest way is to chain 14, finish off. go back to where you attached the strap chain, and slip into above st of chain on shoe, and sc along the chain 10 ., chain 4...slip into last chain (to make the loop for button) and finish off, the loose ends can be tied together for strength and eave in ends. 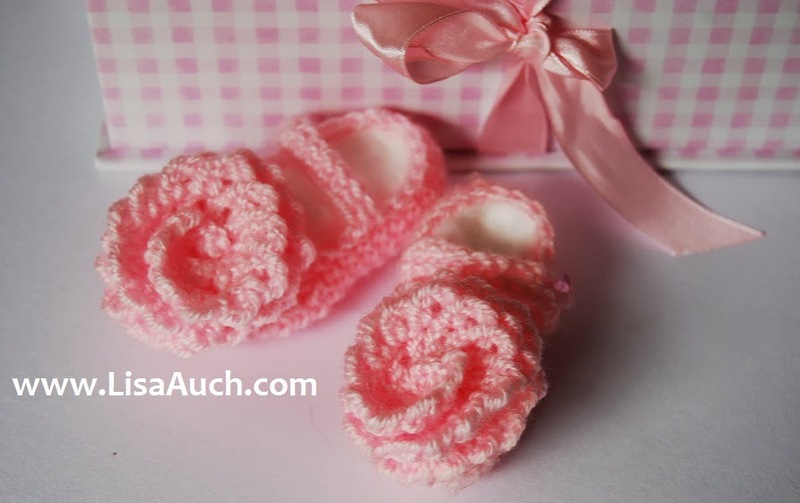 You can, if you wish, put a design on top of the baby booties such as a crochet flower. And add on your buttons for the straps. Pattern for the Crochet flower I used here. Row 1: 3 hdc in 3rd ch from hook, 4 dc in next ch, 5 dc in next ch, 3 tr in each ch to last 3 ch, 3 dc in next ch, 2 hdc in next ch, sc in last ch. Row 2: (ch 3, sl st in next st) across. Fasten off. Coil Flower into a spiral. Sew across base to secure. Weave in ends. Labels: baby shoes, bootees, booties, free crochet pattern, hat pattern, newborn, newborn set.